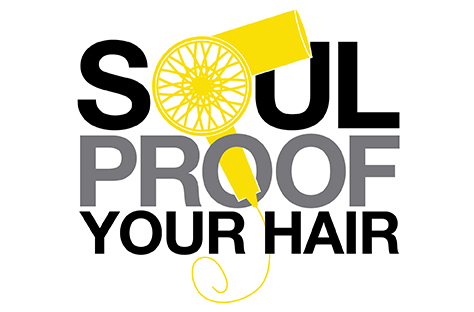 Want to keep your hair as healthy as your SoulCycle habit? Rider ERIKA SZABO — hair color whiz at Louis Licari Salon — gave us some smart strategies! One of the biggest hair problems I see is a halo of breakage from a ponytail. The first step in Soul-proofing your hair? Get rid of that ponytail! Putting your hair in a ponytail, combined with a sweaty scalp, can stretch your hair up to 40 percent. And if you leave your hair in a ponytail after the ride, as the hair dries, it will shrink to its original length and snap around the band. This is what causes breakage. * TWISTS: A cute twist along the hair line, secured with a bobby pins, will help prevent breakage. * BRAIDS: If you’re hung up on that ponytail holder, you can use it at the end of a braid. * SOUL BANDANA: For thick hair, use a Soul bandana to keep your hair laying back. Secure with bobby pins, and tie the two ends tight to your hair and begin your ride! I always walk out of class with wet hair. There is no way to avoid this! For people with fine hair like me, there is no need for shampoo. Rinse your hair, condition, then blow dry. Soul has great blow dryers in the bathroom. Just make sure you keep the nozzle on. This will keep your hair from drying out and keep the moisture you need. Not showering? Use dry shampoo. It can be a miracle for thick and thin hair. Riders with fine hair can also use dry shampoo before class to keep texture in hair to hold the twists and the braids. For thicker hair, it’s a great way to freshen up your hair after class. Warning for girls who love keratin treatments: If your hair gets more than 40 percent wet during class, please rinse your hair out thoroughly afterward. Sweat contains a boatload of salt, which is an enemy for keratin treatments. Not rinsing can actually make your keratin treatment last for a shorter period of time. I hope these tricks help my fellow riders. See you in the next SoulCycle class!